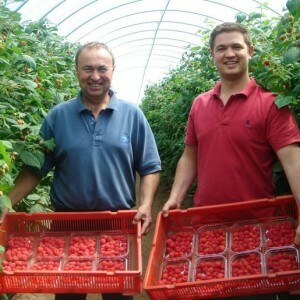 Messrs George McLaren is a family run farming business based in Perthshire, Scotland. The business has five main enterprises: Potatoes, Soft fruit, Blackcurrants, Cereals and Poultry. We strive to produce a quality product using the best available techniques and in a sustainable manner. The business is run by George and son Douglas, with the main farm Bankhead of Kinloch now being farmed by the 4th generation since it was purchased in 1938. Over the years the farm has expanded with the purchase of Kinloch Home Farm in 1963, Mains of Fullarton Farm in 1987 and Balmacron Farm in 1991. In addition the business contract farms locally and land is rented on a seasonal basis for growing potatoes.